What is EuroMillions Hotpicks and EuroMillions Superdraw? 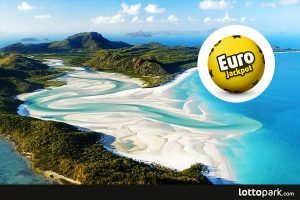 EuroMillions is a lottery widely known among lotto enthusiasts in Europe, giving them a chance to claim one of the great prizes and rollover that may reach up to €190 million euros. EuroMillion heats up the emotions of lotto fans since 2004. Initially, tickets were available locally in United Kingdom, France and Spain. Switzerland, Portugal, Ireland, Luxembourg, Belgium and Austria joined the game later on. Having the possibility to play online, you can also participate in the greatest European lottery. Don’t miss the EuroMillions draw! Another great EuroMillions draw will take place tomorrow. The prize pool has been increasing for several weeks now and a great rollover worth 139 000 000$ is waiting. Hurry up, the clock is ticking, so pick you lucky numbers now and play this great European lottery that may change your life tomorrow. Give yourself a chance to become the next lotto millionaire! Last Friday, the 1000th EuroMillions draw took place. We’d like to share a few interesting facts and figures about the most popular European lottery. The lottery has been started in 2004, so it’s been 13 lucky years with EuroMillions. Since that time, a total of 481 million lines with EuroMillions winning numbers have been picked. Prizes are of course the most exciting thing when it comes to lotteries and we have to say, the numbers in this lottery may leave you breathless. EuroMillions winner wanted! £1,000,000 waiting to be claimed! Have you bought a traditional, paper EuroMillions in Scotland? Make sure to check it! The organizers of the biggest European lottery are hunting for the EuroMillions winner who may be unaware of the fact, that there’s a million pounds waiting for him! EuroMillions or Eurojackpot rollover? How about both? Looking for a lottery to play this week? Look no further. After a period of time dominated with American lotteries, it’s time for Europe. EuroMillions and Eurojackpot bring the highest rollovers in the forthcoming draws. Which lottery will you pick? Would it be the Eurojackpot rollover to tempt you or would you rather go for EuroMillions? In the end, you could go for both and increase your chances of winning! On 17th February, the EuroMillions draw has dramatically changed the life of Beverley Doran, who won £14,500,000. Beverley is a mother of four, two of them are autistic. When she was left alone to raise her kids, she was afraid of the future coming for her and her kids – especially when they grow up. Luck has smiled upon her. A winning EuroMillions ticket marks a ground-breaking step forward a better life and makes all the fears go away. Read the story of a British whose life was changed by a lucky lotto ticket. EuroMillions Super Draw – Countdown has begun! New rules of the Euromillions lotto have already been adopted and only 5 days are left till the long-awaited event – Euromillions Super Draw with the guaranteed jackpot of €130 million. Are you ready? EuroMillions ticket price and jackpot – play with us! Euro Millions is the biggest lottery in Europe, where a lot of European countries take part. It is widely known for its huge jackpots, because the prize fund is generated from the funds of all these countries. LottoPark.com (URL) website is operated by WHITE LOTTO LIMITED, a EU company registered at Kenwood House, 77A/2 Shenley Road, Borehamwood, WD6 1AG, UK with the registration number 11876620. The website is owned by White Lotto B.V., registered address Dr. M.J. Hugenholtzweg Z/N UTS-Gebouw, Willemstad, Curacao, a company licensed and regulated by the laws of Curacao under the Government of the Curacao license No. 1668/JAZ. LottoPark is an independent service website offering online sale of lotto tickets and is not connected nor supervised by National Lottery, MUSL Camelot Plc, or any other provider of the products available on this website. EuroMillions is a Services aux Loteries en Europe brand. National Lottery and Lotto are Camelot Group Plc. Brands.